TechnipFMC, in joint venture with Fluor, announced the successful completion of its engineering, procurement and construction management (EPCM) services on Sasol’s world-scale petrochemical complex in Westlake, Louisiana, U.S.A. As planned, TechnipFMC/Fluor resources will provide assistance to the Sasol team at the LCCP project site for the remaining activities, working with Sasol in parallel on the transition plans for each unit and workstream. TechnipFMC/Fluor will also assist in performance testing for the Lake Charles Chemical’s Project (LCCP). The TechnipFMC and Fluor joint venture has provided EPCM services since the project final investment decision in 2014. 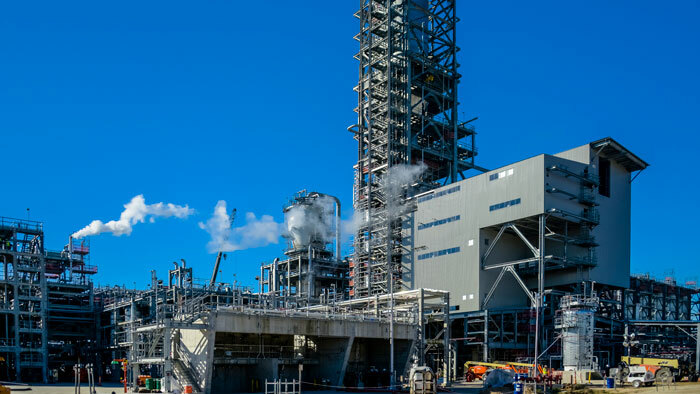 The complex features a 1.5-million-ton-per-year ethane cracker based on TechnipFMC’s proprietary ethylene technology which is the technology selected for more than 60% of all new ethylene crackers installed worldwide in the last decade. The Lake Charles Chemical’s Project (LCCP) complex also includes six downstream chemical units and associated utilities, infrastructure and offsites. Sasol announced the beneficial operation on the 470 kilo ton per annum (ktpa) polyethylene unit on 13 February, which is one of the two polyethylene derivative units at LCCP. “Reaching this achievement at the LCCP is the culmination of more than four years of work that was safely accomplished under our management. We are pleased with the project delivery and the successful handover to Sasol,” said Nello Uccelletti, president of TechnipFMC’s Onshore/Offshore business.